PARIS -- PSA Group turned its recently acquired Opel-Vauxhall business sharply back into the black while achieving record first-half profitability at its French car brands. PSA is benefiting from strong sales of its Peugeot 3008 and 5008 SUVs enhanced by years of cost savings under CEO Carlos Tavares, who pulled the group from near-bankruptcy in 2014. Tavares is now applying the same medicine at Opel, which PSA acquired from General Motors barely a year ago and last turned a full-year profit in 1999. "The turnaround of Opel-Vauxhall is now clearly under way," Chief Financial Officer Jean-Baptiste de Chatillon told reporters on a call. PSA's first-half net income to June 30 rose 18 percent to 1.481 billion euros ($1.73 billion), as revenue jumped 40 percent to 38.6 billion, the company said in a statement on Tuesday. "The improvement PSA has achieved over the last six months is remarkable given that (Opel) lost 179 million euros in the second half of 2017," said Arndt Ellinghorst, a London-based analyst with Evercore ISI. Cost-cutting at Opel, which had lost a billion dollars a year under GM ownership, helped the division record a 502 million euros ($587 million) profit for a 5 percent operating margin. 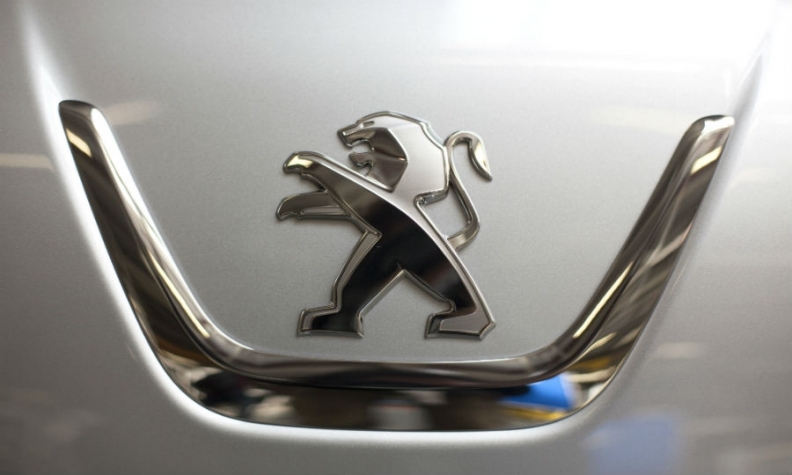 The profitability of French brands Peugeot, Citroen and DS topped 8.5 percent, overshooting a 6 percent goal for 2021. Overall recurring group operating profit rose by almost half to 3.02 billion euros, PSA said, for a 7.8 percent margin. Opel's better-than-expected performance and return to profit could signal readiness for further consolidation moves. In his call with reporters, CFO Chatillon stressed the company's 8.2 billion euro net cash position, up by one-third since December. But it could also complicate talks with German unions, as PSA seeks to offload engineering departments at the carmaker's Ruesselsheim headquarters near Frankfurt. PSA, which is already cutting 3,700 Opel manufacturing jobs, enraged unions last month when it confirmed it was seeking a buyer for research and development activities that currently employ another 4,000 staff. "We have overcapacity over time at this R&D center," Chatillon said. Talks are ongoing with "partners that could bring in work", he said, declining to identify potential buyers understood to include engineering consultant Altran. Opel's rebound was driven by a 28 percent reduction in fixed costs such as marketing expenses, as well as strong progress towards a manufacturing cost savings target per vehicle of 700 euros - estimated by Evercore's Ellinghorst at 200-250 euros. More than a third of the group's 3.19 billion euro operating cash flow came from reduced working capital - thanks largely to reduced stocks of vehicles and parts - of which the bulk came from Opel, mirroring PSA's earlier turnaround efforts. The improvement was also helped by purchase accounting that slashed some asset values and resulting depreciation costs. PSA's upbeat earnings will nonetheless draw "repeated double-takes" from investors, said Jefferies analyst Philippe Houchois. PSA unveiled "impressive numbers all around even if we adjust for abnormally low capital expenditure and depreciation," Houchois said. The group reiterated its full-year global auto market outlooks and said it would update investors on its mid-term goals early next year.